Today, I’d like to highlight a couple of Imagine! employees who not only do great work for our organization, but who have also been recognized for their work supporting our community in other ways as well. Since April 23-29 is National Volunteer Week, I figure I should start with Keith Kosiek, a long time employee at our CORE/Labor Source team (he’s celebrating his 18th Anniversary there next week!). 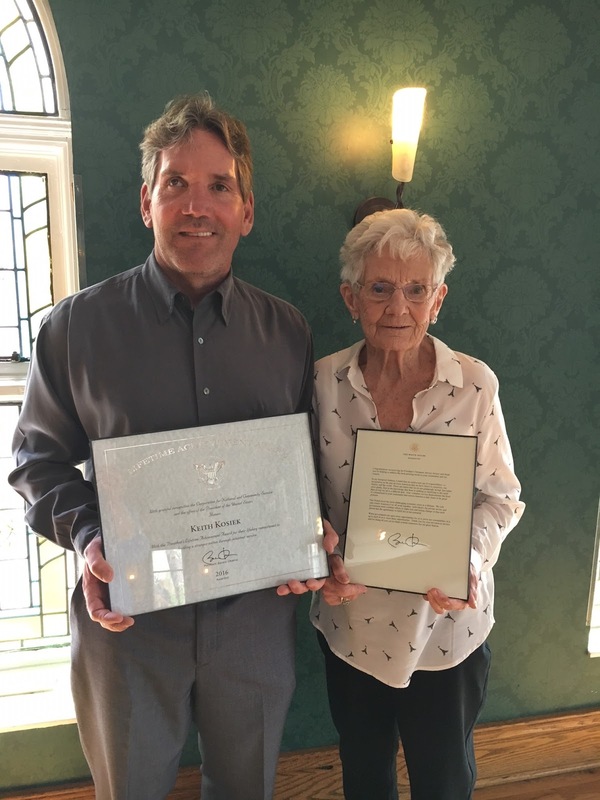 Keith also volunteers as a chaplain at Avista Adventist Hospital in Louisville, and earlier this week he received the President’s Volunteer Service Award and a Lifetime Achievement Award for his volunteer work there. Keith is pictured below with his mother and his awards. 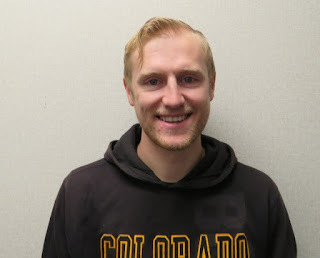 Kudos are also in order for Chris DiRosa, who is the Site Supervisor at Imagine!’s Charles Family SmartHome in Longmont. Chris has been selected to receive the Longmont Rotary Club’s 2017 Citizen Compassion Award for his outstanding efforts in the Longmont community. Chris was chosen for this honor by the Longmont Rotary Club for being someone who exemplifies “Service Above Self,” demonstrating the five levels of compassion: Love, Empathy, Understanding, Gratitude of all things, and Giving selflessly of oneself for the happiness of all beings. Even the picture below demonstrates why Chris is being recognized in this way. 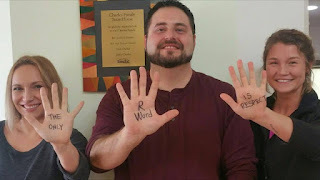 In it, Chris and a couple of fellow SmartHome staffers make a powerful statement about the use of the “R-Word” and offer a fantastic alternative. Congrats to Keith and Chris. Thanks for showing our community the very best that Imagine! has to offer. I know this is a controversial topic, and I’m not here to tell you which side of the debate you should be on. I will say, however, that I came away from that video with eerie sense of the parallels between Tyson’s discussion about how we use (or more accurately, don’t use) scientific data in determining much of our public policy to the ways that use (or more accurately, don’t use) hard data when it comes to determining how best to deliver services to individuals with intellectual and developmental disabilities (I/DD). Are we good at demanding that those in the position of making decisions about the future of services provide solid data as to why their policy decision is the correct one? I would argue we aren’t. Perhaps because we are in the human services field, we place far too much emphasis and trust in opinions about services and make far too little effort to determine if those opinions are backed by hard data. Influence without accountability is the result, and it has been disastrous for the folks we serve. I’m reminded of an old episode of “The Simpsons,” when Homer’s long lost brother recruits Homer to design a new care for his company. Homer knows nothing about cars, and forces a design based on his tunnel vision about what a car should be. He didn’t know what the public wants in a car, he doesn’t know anything about the cost of making a car, and he doesn’t have any data to back up his ideas. Instead, he just throws ideas out there. His brother’s employees, too scared to disagree with the boss, create Homer’s dream car. In the end, Homer’s dream car wasn’t what anybody else wanted or needed. I’m not asking if we want a bunch of Homers out there trying to design our services. I am saying that, just like in Homer’s case, there isn’t enough pushback and questioning of why we’re doing things the way we are, and almost no emphasis at all is being placed on whether or not we can defend why certain decisions are being made. Opinions are like noses – everyone has one. Defensible opinions are data driven. Having knowledge of one small aspect of an incredibly large and complex system does not an expert make. We have to make better calls when it comes to whose influence we fall under, because too often we’re following influence without accountability. Here’s a nice quote from a parent of an Out & About participant discussing how Out & About has become a big part of her son’s (and her family’s) life. Imagine!’s Annual Community Forum is scheduled for next Tuesday, April 25. We understand that not everybody is able to attend this event in person. Some people have family or work obligations, while others may have mobility or health concerns that make traveling to our headquarters difficult. And if you can't join in at that particular time, the event will be recorded and available online (same link as above) afterwards. I hope you will be able to join us, whether in person or virtually. Below are some other details about the upcoming event. Join us for our Annual Community Forum on Tuesday, April 25. Representatives from Imagine!’s staff and Board of Directors will be on hand to answer questions and receive input from families and local community members. Bring your friends and join us on Thursday, April 20, for New American Funding-Boulder's “Third Thursday” happy hour event. Imagine! will be featured as the event's nonprofit partner. 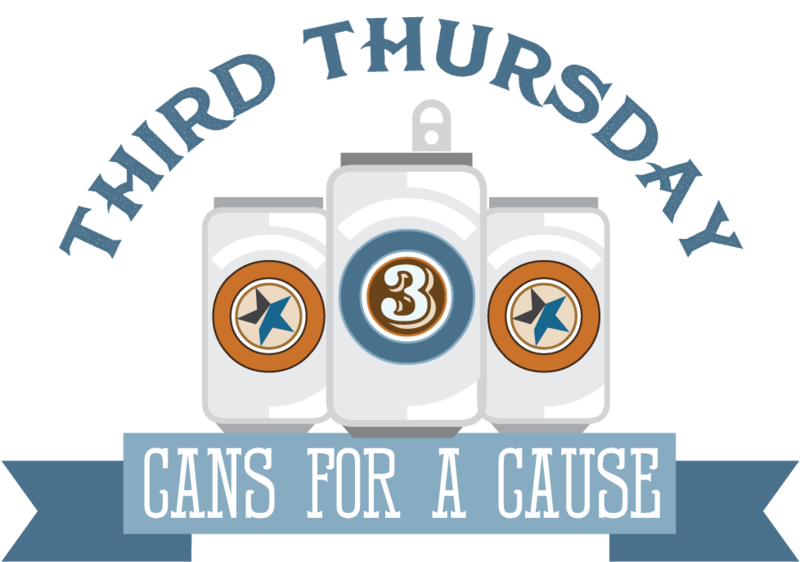 We look forward to sharing our mission, goals, and community services over "Cans for a Cause." Donations are welcome and will support Imagine! 's services. 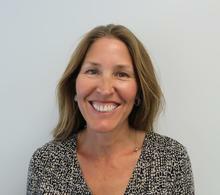 Hosted by New American Funding and sponsored by Stewart Title, Juniper Wealth Advisors, and Organization & Relocation. 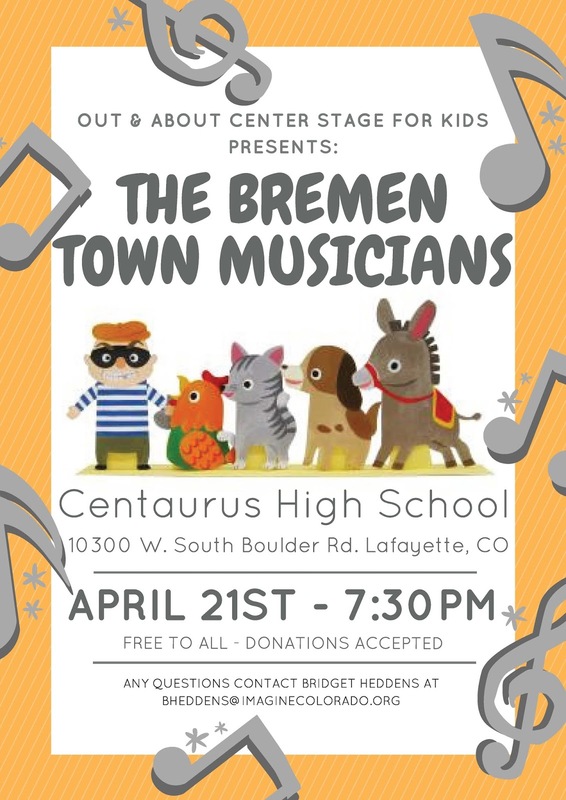 The latest performance of Imagine!’s Out & About Center Stage for Kids program, “The Bremen Town Musicians,” is scheduled for next Friday, April 21, 7:30 PM, at Centaurus High School, 10300 W. South Boulder Road, Lafayette, CO.
Center Stage works this way: class participants get the opportunity to learn the basics of theater. Each activity focuses on integral aspects of theater production, including acting, singing, dancing, choreography, set and costume design, and lighting. Throughout this class, participants work together to create a stage production. At the end of the class, the group performs its show before a live audience. 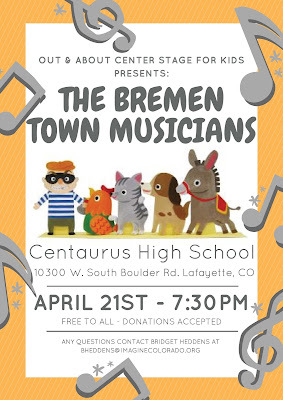 The performance is free (donations are accepted) and guaranteed to be fun! And even if you can’t attend the performance in person, you don’t have to miss out! Out & About will be showing the performance live on their Facebook page, and the video will be available after the performance on their Facebook page as well. Here’s a nice quote from a parent of an Out & About participant discussing how her son he has thrived in his social behaviors based on the interaction and guidance from several of the staff. 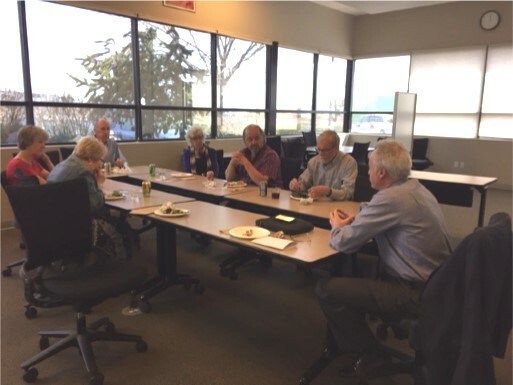 This week's Tech Tuesday takes us to our Longmont CORE/Labor Source (CLS) location, where participants are collaborating on a "Day in the Life of CLS" project, which catalogues the day to day happenings at CLS. 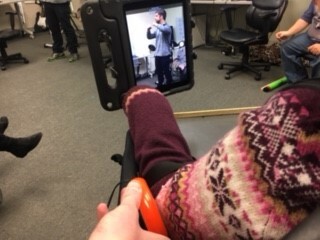 Participants of all abilities can join in the fun, even participants with limited mobility, through the use of a simple switch. Users can employ the switch to start and stop recordings, toggle between photos and videos, zoom in and out, and even control the camera’s flash. It's another fun way to catalogue all the great things going on in Longmont CLS. Keep up the great work, everyone! Today, I’d like to offer a hearty congratulations to Brodie Schulze, who works for Imagine!’s CORE/Labor Source (CLS) team. 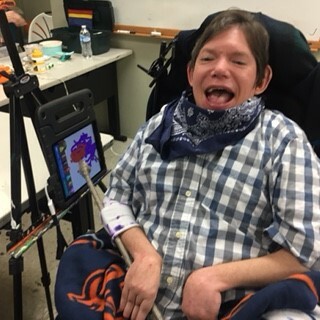 Brodie has been selected as the Colorado Direct Support Professional (DSP) of the Year by ANCOR, a national organization comprised of service providers for people with intellectual and developmental disabilities. 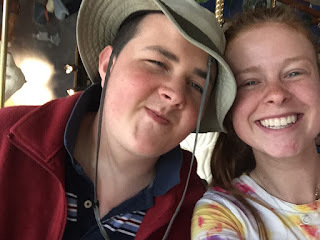 There are many reasons for Brodie’s selection, but rather than me try to explain, I’d like to share a couple of quotes from people whose lives Brodie has positively impacted. 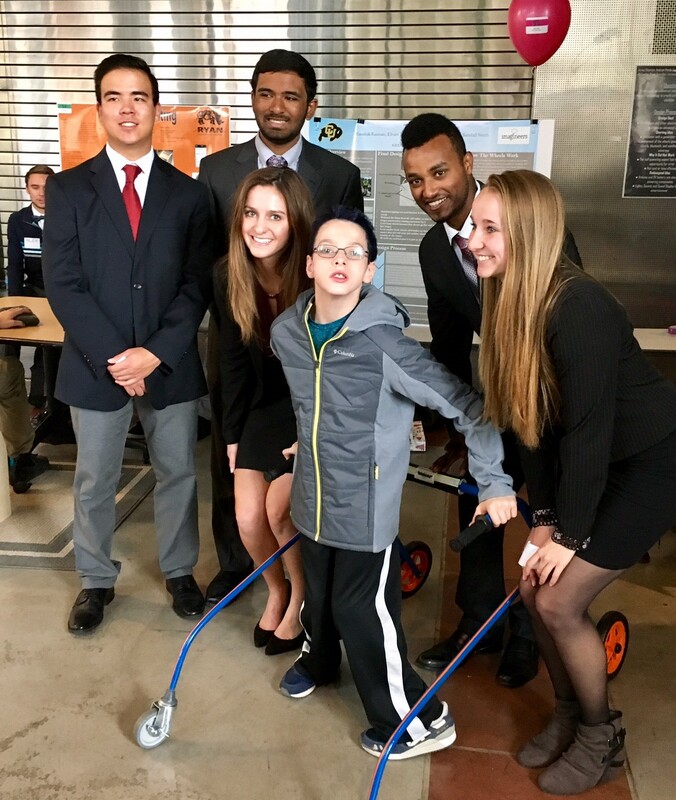 “My son, Hunter, has cerebral palsy, and I asked Brodie if he could help with a problem we’ve been trying to solve. Hunter loves sports and he especially loves to run, but CP makes that difficult. 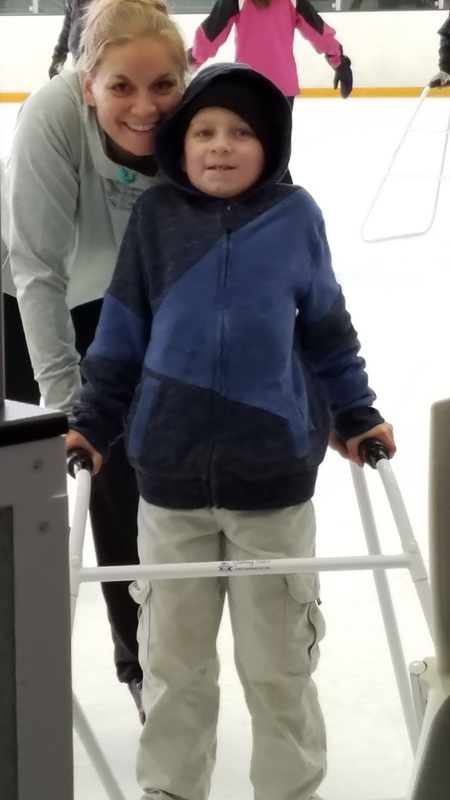 He uses canes for walking, but when he runs, the canes tend to slip and cause him to fall. Although he always gets back up after falling down, as a mom, I worry that one day a fall could cause serious injury beyond little scrapes and bruises. 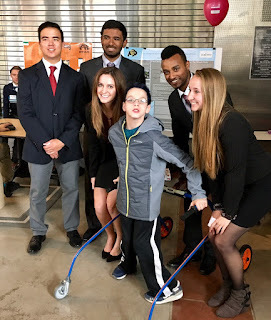 From parents to coworkers to people accepting services, the consensus is that Brodie is truly an exceptional employee who embodies Imagine!’s mission of creating a world of opportunity for all abilities. Brodie will be honored for his work at the 2017 ANCOR Annual Conference in San Antonio next month. I’m delighted that he is being recognized in this manner, and am proud to call him a colleague of mine. 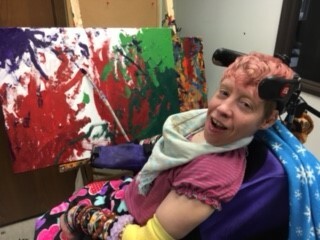 I find it interesting that, during a time of questioning science, alternative facts, fake news, fiscal accountability, and the demands for better outcomes, states have not focused on exactly what variables deliver the better outcomes for community based services for people with an intellectual and developmental disability. Here is the science part. Let's take the data from two very reputable resources, the Coleman Institute for Cognitive Disabilities' State of the States in Intellectual and Developmental Disabilities (2015 Edition), and United Cerebral Palsy’s The Case for Inclusion (2016 Edition). The State of the States data compares fiscal effort of each state and Washington, DC, and The Case for Inclusion compares service outcomes of each state and DC for Americans with intellectual and developmental disabilities. Fiscal effort in this case is spending for I/DD services per $1000 of aggregate statewide personal income. Service outcomes included measures of promoting independence, promoting productivity, keeping families together and reaching those in need, and tracking health, safety and quality of life. One might expect the greater the fiscal effort would result in better service outcomes. In fact, there is no correlation between the two measures. Of the top six states ranked in service outcomes, five of them were ranked in the bottom half for fiscal effort. And of the top six states ranked for fiscal effort, three were ranked in the bottom half for service outcomes. Add to this what we know of states reporting conflict free case management, and again there is no correlation between the measures of conflict free case management and service outcomes. We know the Federal Government guides how Home and Community Based Services are regulated through the Centers for Medicare and Medicaid Services, and states are guided by their own statutes and regulation. Have any one of them identified the variables that deliver the better service outcomes and fiscal accountability? Colorado, for example, has one of the worst rankings for fiscal effort and is among the better service outcomes. However, Colorado has declined in ranking of service outcomes from 6th to 11th over the recent years. One would think it worthy of asking the question, “Why?” Have we hit the tipping point where fiscal effort does matter? Is the movement away from local control in our state contributing to the losses in service outcomes? Are there other variables that should be measured? Or are we simply hoping and wishing that the trend will reverse all by itself? I’m leaning on the science to help us reverse the trend. This link will take you to a recent example of a story shared by former Out & About employee Michelle Conkey-Sajban, who currently serves as Imagine!’s Business Systems Program Manager. We’ve got some pod people here at Imagine!. Imagine!’s CORE/Labor Source department hosts a Radio class that, thanks to instructor Jonny Brennan and the assistance of our good friends at KGNU radio (including use of their studio), gives participants the opportunity to learn how to produce their own radio show/podcast. In their most recent episode, class members Mandy, Bruce, and Brian discussed the importance of self-advocacy as well as the difficulties we face when standing up for ourselves. 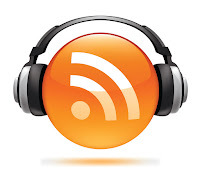 You can also check out previous podcasts here.